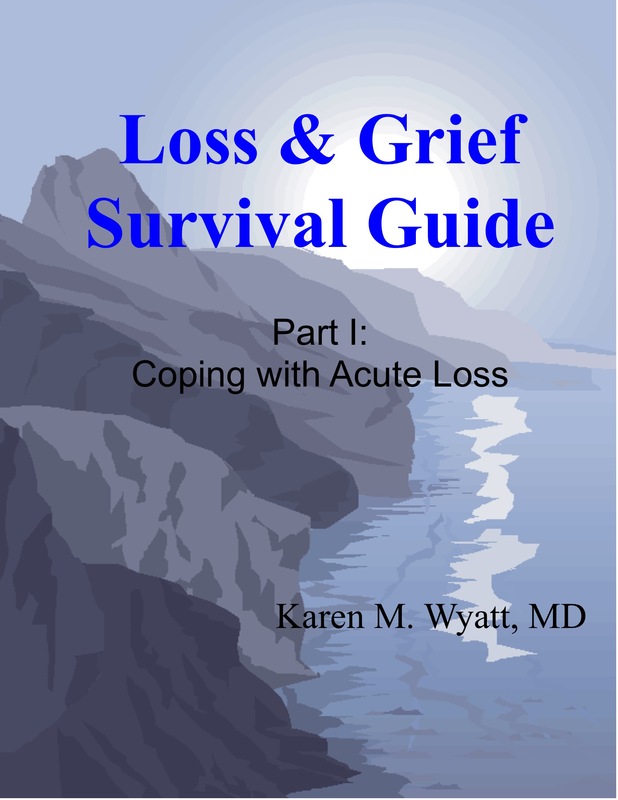 Karen M. Wyatt, MD, a hospice physician and author, intends to decrease the impact of unhealed grief on health by releasing two free e-books designed to educate the public about surviving grief and helping others who are grieving. Loss is one of the universal experiences that each of us shares with all of mankind, no matter our age, where we live or what we do. Yet, when a serious loss occurs in our lives, most of us are left adrift. Karen M. Wyatt MD, a tenured hospice physician, announces the launch of two free e-books that address the health consequences of unhealed grief. The e-books are specifically designed to educate the public about surviving grief and helping others who are grieving. According to Dr. Wyatt, feelings of grief that are not resolved in a healthy manner can cause devastating physical and emotional consequences such as depression, anxiety and even hypertension and heart disease. Dr. Wyatt believes that our society needs a more open approach to death, dying and grief in order to overcome these hidden hazards to our health. “Death and grief are currently uncomfortable topics in our society, though they should be more openly discussed not only in the counselor or doctor’s office but also around the kitchen table, in the company break room and at the church social,” states Dr. Wyatt. Her e-books are designed to answer questions about grief, provide support to the bereaved, and encourage healthy acceptance of death and dying. Dr. Karen Wyatt (http://www.karenwyattmd.com) is on a mission to reduce the consequences of grief on the physical and emotional health of the nation. Readers interested in learning more about grief can obtain copies of both e-books free of charge at Dr. Wyatt’s website, http://www.karenwyattmd.com or subscribe to her monthly newsletter, Creative Healing.